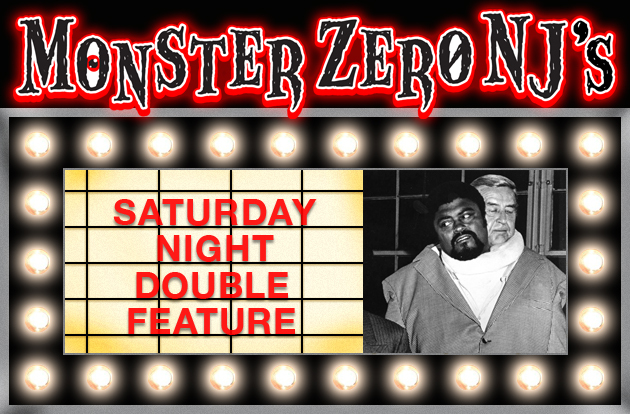 MONSTERZERO NJ’S 25 ZOMBIE FLICKS TO WATCH DURING THE HALLOWEEN SEASON! Rob Zombie’s latest album, released less then a week after the multi-tasking Zombie’s latest directorial effort The Lords Of Salem, is probably one of the best of his discs since going solo and it does evoke the White Zombie days somewhat too, while giving us that spooky, decadent Rock N Roll we have come to expect from the musician/filmmaker. 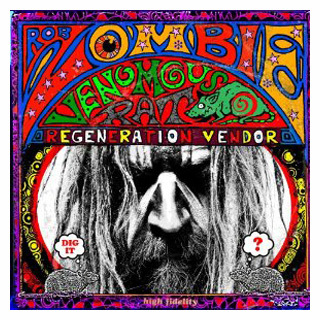 Venomous Rat Regeneration Vendor probably won’t win over any new converts but, Rob Zombie and White Zombie fans should enjoy the 12 track album that once again has Zombie taking us on a hard rocking road trip through all the evils that men do. From the first single “Dead City Radio And The New Gods Of Supertown” to a cool cover of Grand Funk Railroad’s “We’re An American Band”, Venomous is a hard-driving rock album well produced to maximum effect by Zombie himself. With band mates John 5 on guitar, Piggy D. on bass and Ginger Fish on drums and percussion, along with Zombie’s appropriate samples of movie dialog to punctuate his twisted lyrics, Rob and Co. deliver an entertaining and pulse pounding album of twisted Rock N Roll with a sinister edge and a crooked smile. 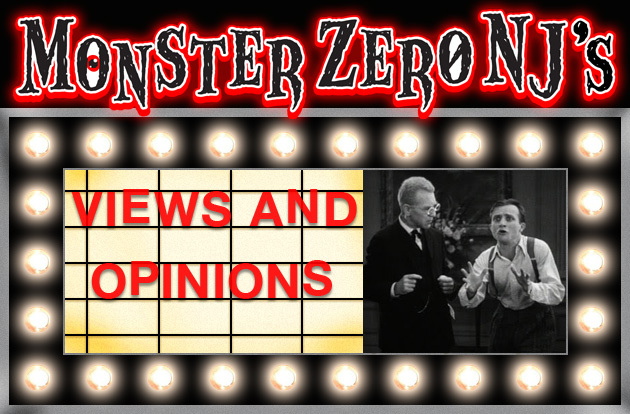 Songs like Revelation Revolution and Rock And Roll (In A Black Hole) will have you banging your head and stomping your foot as Zombie takes us through his white trash carnival ride of bad behavior and sinful indulgences with his trademarked theatricality. And that’s kinda what Rock N Roll is all about when you think about it. A deviously enjoyable new album from Rob Zombie. 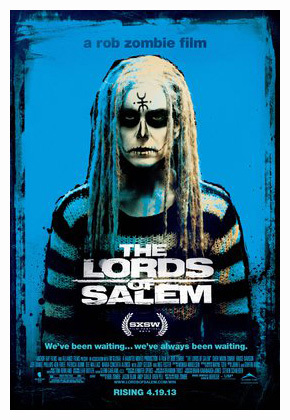 If Stanley Kubrick, Dario Argento and Lucio Fulci got drunk and decided to make a horror movie together, Lords Of Salem would probably be close to what you’d get. 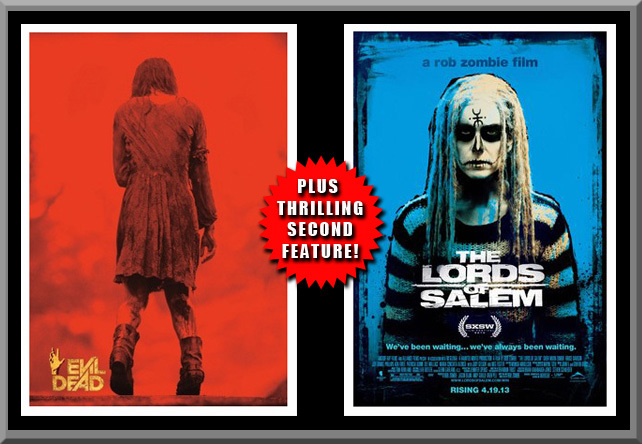 Even back in the White Zombie days, rocker/director Rob Zombie has always shown a heavy influence from movies, especially horror, so it’s no surprise to see such influences in his films. 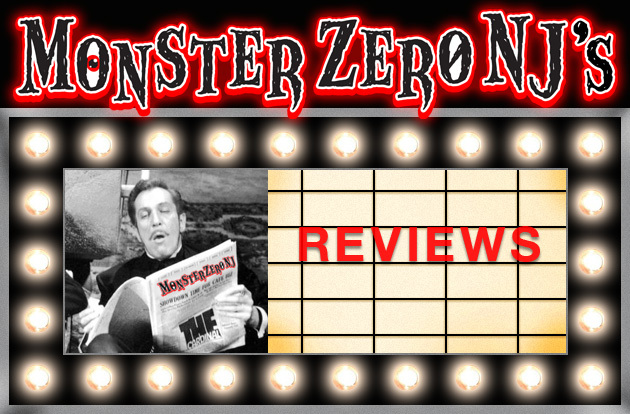 And this time, Zombie sheds the 70s grind-house style that his earlier films have had and goes for something that evokes the work of the previously mentioned filmmakers and also some of the 70s occult themed flicks like the infamous Mark Of The Devil. To a degree, it is Zombie’s most solid effort as director, but also his most experimental as Lords gets downright head trippy and surreal at times, especially in it’s last act. If you liked his dream sequences in Halloween 2, there’s lots more where that came from. Today’s impatient audiences weaned on cookie cutter horrors and endless sequels may not appreciate what Zombie has done here, but to me it was a disturbing breath of fresh air. In a time of CGI phantoms and overused jump scares, I really like that Zombie had the courage to make something that aims to simply unsettle and disturb you with it’s atmosphere and imagery and doesn’t rely on cheap scares and elaborate post production hocus-pocus. Lords tells the creepy story of late night Salem DJ Heidi (Sheri Moon Zombie) who receives a wooden box with a record in it from someone referring to themselves simply as “The Lords”. When she plays the vinyl album she suddenly starts to have increasingly disturbing hallucinations and her life starts to spiral out of control. When author Francis Matthias (Bruce Davison) begins to investigate, he finds that an ancient evil in the form of a devil worshiping witch coven, once burned at the stake, may be returning to Salem and Heidi might be key to their vengeance. Director/writer Zombie tells his disturbing tale with a deliberately slow burn, yet never at any moment does he ease up on the atmosphere that something sinister and very wrong is going on here. Whether it’s the haunting visuals that he fills the film with or the excellent use of Griffin Boice and John 5’s score…which evoked Fabio Frizzi and Goblin at times…the film oozes atmosphere and keeps us involved even if the film’s narrative flow doesn’t always follow a tradition path. And as for the visuals, they range from haunting to shocking and as disturbing as they can be, they are also beautiful. This is certainly, at the very least, a visually striking film. Despite all the shocking imagery, I actually feel Zombie showed some restraint at times which made the horror elements all the more horrifying when they arrive. Rob is not the only Zombie to watch here. Sheri Moon Zombie, who proved she had some acting chops as Deborah Myers, is again very effective here as Heidi, a woman with emotional troubles and past bad habits who is being drawn into a living nightmare that she is not equipped to fight. Jeff Daniel Phillips is also good playing one of the two Hermans who DJ with her, a man with feelings for Heidi who tries to help her without knowing the true cause of her emotional down-turn. Zombie also peppers his film with genre vets like Ken Foree (the other Herman), Meg Foster, Sid Haig and the effectively spooky trio of Dee Wallace, Patricia Quinn and Judy Geeson as Heidi’s neighbors, who are more then they appear. Overall, Rob Zombie has created his most interesting work yet and one that won’t appeal to everyone. It evokes a type of horror in the vein of Argento’s early films or Fulci’s The Beyond, that they don’t make anymore. That’s why I liked it so much. Zombie remembers a time before the MTV generation when horror films took their time to draw you in and had loads of atmosphere. He also knows, like those films, that there is a time to shock you, too and he does that well. Finally, he knows that sometimes the best way to make sure you leave the theater spooked is to not wrap everything up in a neat little bow and thus leave you looking over your shoulder when you are home at night. I would recommend this film highly for those who don’t mind a slow burn and a splash of avant-garde with their horror. Not perfect, but a really spooky flick for those that can appreciate it.